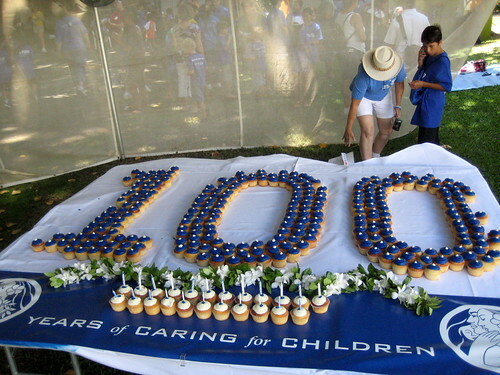 100th birthday celebration made better by cupcakes! The Kapi'olani Medical Center (a children's hospital) in Hawaii celebrated its 100th birthday in style at the Honolulu Zoo. This shot courtesy of mikenan1.